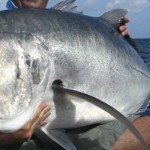 The flat out bullies of the coral reef systems, here GTs range in size from 5kgs to well over 50kgs. 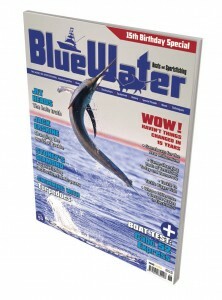 Specialist anglers target them casting poppers and stickbaits into the barrier reef breakers. 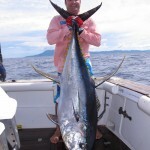 Large Dogooth Tuna are found all around Kadavu Island’s outer barrier reef drop-offs and ofshore structures like the Kadavu Seamount. 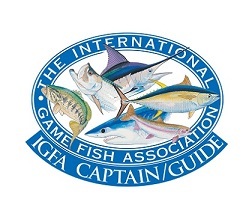 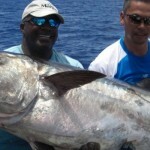 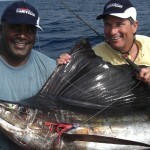 We hold the Fiji All-Tackle Record with a fish of over 90kg. 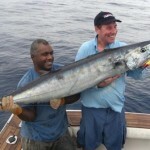 Every year from June through to October, large packs of wahoo gather along the Great Astrolabe barrier reef. 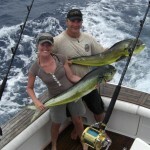 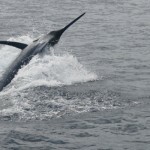 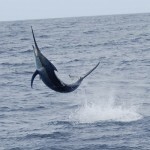 We specialise in hunting wahoo on light tackle. 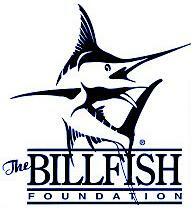 Large schools of yellowfin migrate through Fiji waters twice a year and so are found here almost all year round.